This is a real basic, short, barebones start, but the longer we keep hacking at it the better it will get. 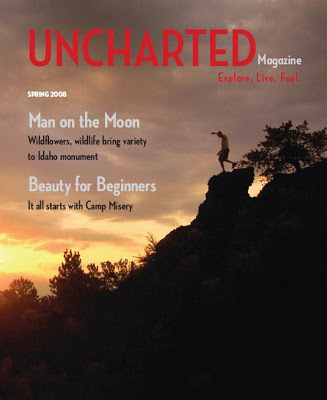 If you’d like to purchase a special 1st edition Uncharted magazine, send a blank e-mail to firstprint@uncharted.net and we’ll respond with ordering instructions. Update on the bigger picture: We have some great interns helping us design the core functionality of the future site. We had a great meeting last week to discuss how we want to make it easier for the users to navigate our site’s future content. Our designer, Andrew, created an awesome site map for us. Everything is chugging along.